Show your southern pride the 1860s way - with a cockade! This gorgeous Missouri cockade is well-documented both in 1860 descriptions and in surviving originals. Approximately 2.5" (6 cm) across. Streamers are approximately 3" (8 cm) long. Pin back is silver plated and 1" (2.5 cm) wide. This is a copy of a ribbon badge worn by the pro-secession Missouri Minute Men. The original pictured in the photos section is from Robert Randolph Hutchinson Scrapbook and is displayed at the Missouri History Museum. 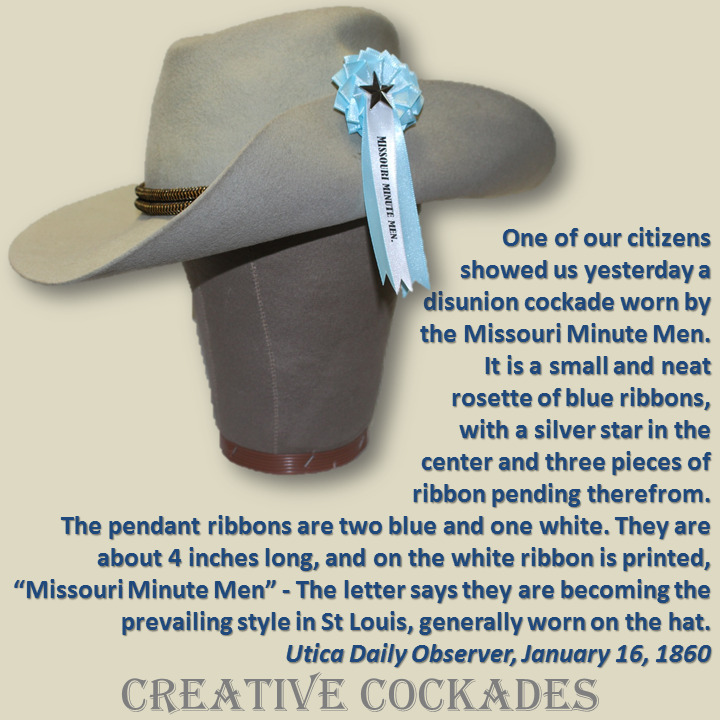 "One of our citizens showed us yesterday a disunion cockade worn by the Missouri Minute Men. 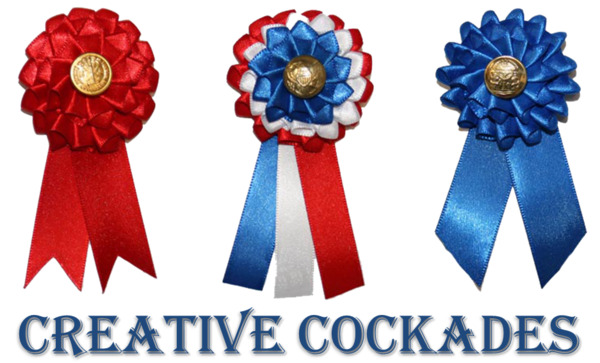 It is a small and neat rosette of blue ribbons, with a silver star in the center and three pieces of ribbon pending therefrom. 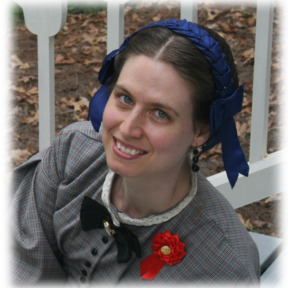 The pendant ribbons are two blue and one white. They are about 4 inches long, and on the white ribbon is printed, 'Missouri Minute Men' - The letter says they are becoming the prevailing style in St Louis, generally worn on the hat."